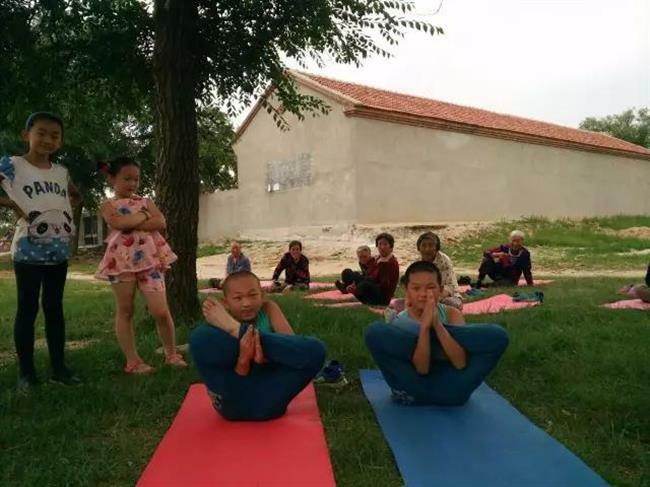 Every morning and evening, nearly 100 villagers, almost a quarter of the village, gather for the yoga classes taught by Lu Wenzhen, the village Party secretary. 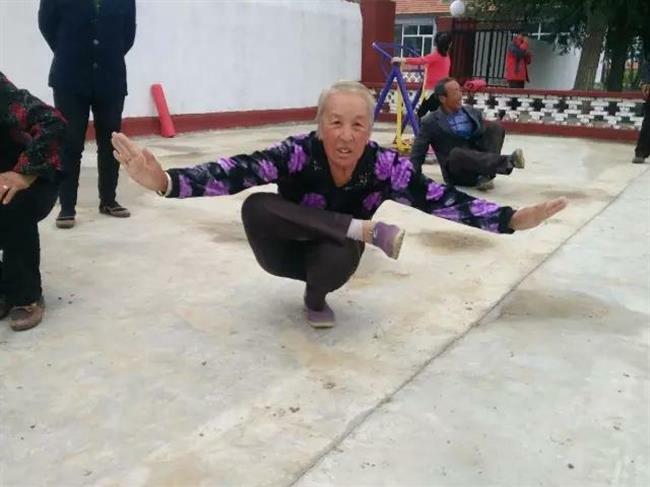 Tucked away in the mountains of north China, middle-aged and elderly farmers in Yugouliang Village are diligent in their daily yoga practices. Every morning and evening, nearly 100 villagers, almost a quarter of the village, gather for classes taught by Lu Wenzhen, the village Party secretary. In 2016, Lu, 52, was appointed as the Party chief of the village located in Zhangbei, one of the most impoverished townships in Hebei Province. He previously worked at a vocational technical institute in Shijiazhuang, the provincial capital, and his assignment was part of a nationwide effort by the Chinese government to dispatch officials to station in villages for one to three years to help the locals get rid of poverty. In Yugouliang, like many other villages across the country, the younger generation had migrated to work in cities, leaving behind their aging parents and grandparents. The empty-nesters in the village scratched out a living by farming. After a hard day's labor, their only entertainment was playing poker. For Lu, reawakening the village was a baffling problem. Lu began to provide free singing lessons for elderly residents. While singing, they were also encouraged to stretch their arms and legs by imitating actions such as sweeping the yard, washing clothes, and drawing well water. The villagers didn't take the classes seriously at first. One day, Lu saw a villager sitting cross-legged while chatting and had an idea: yoga. The villagers had never heard of yoga before and were embarrassed to try the new activity in public. Lu had to teach himself yoga from pictures and videos online before inviting the villagers to join him. Instead of introducing just one style of yoga, the Party chief decided to focus on specific movements taken from different styles that were suitable for the elderly. Basic lessons like breathing and meditation were also adjusted to give the busy farmers a break during the exercise time. Confident and determined, Lu promoted his classes door to door and aroused the interest of villagers: why not give it a try? At first, even the adapted movements were too much for them. "We had never done such exercises before. Yoga made me ache all over," 59-year-old Jin Xiuying complained. However, after continuing for two months, Jin changed her mind. "The pain is gone, and only warmth remains after yoga practice." Balancing on one leg, planks, sit-ups, and headstands in the sun have become acceptable and popular movements for the villagers. As attention from local government and media grew, new opportunities were created. Concerned about possible injuries under amateur guidance, the State General Administration of Sports offered Lu training to become a qualified yoga teacher. Villagers welcomed Lu's more professional yoga classes. "I used to suffer from high blood pressure. Now a headstand is no problem at all, and my head seldom aches," said Guo Meizhen, 66. 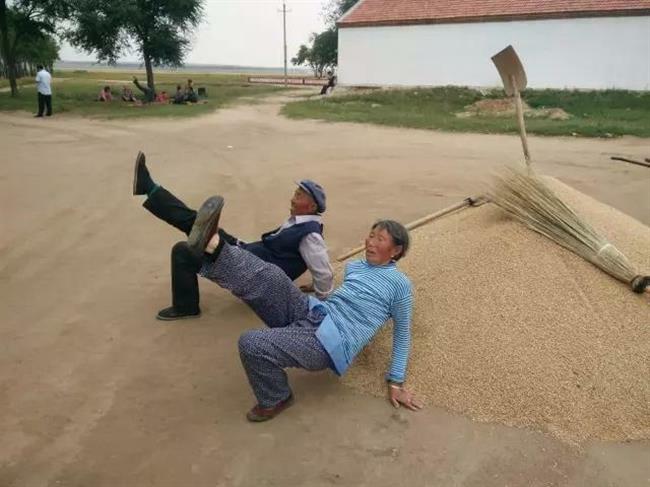 "Practicing yoga strengthens our bodies for farm work and lightens the burden on our offspring to care for us," said Guo Ming, 72. Even Lu himself found that the exercises not only benefited his health but also brought him inner peace. The younger generation working in the cities have expressed their gratitude over the phone, as Lu and his yoga classes have helped take care of their parents back home. The daily classes have even changed the governance in the village. Anyone absent from the class due to illness is easily noticed and their neighbors will have a check and offer assistance, if necessary. Supported by the local government, the village began to plant quinoa, a popular South American grain, which is expected to double the farmland's output value. The village's Party committee office, also the yoga training center, has been renovated. Roads, medical facilities, and guesthouses are under construction as well. Yugouliang is no longer a left-behind village, but it will be transformed into a charming tourist attraction in the near future, Lu said.